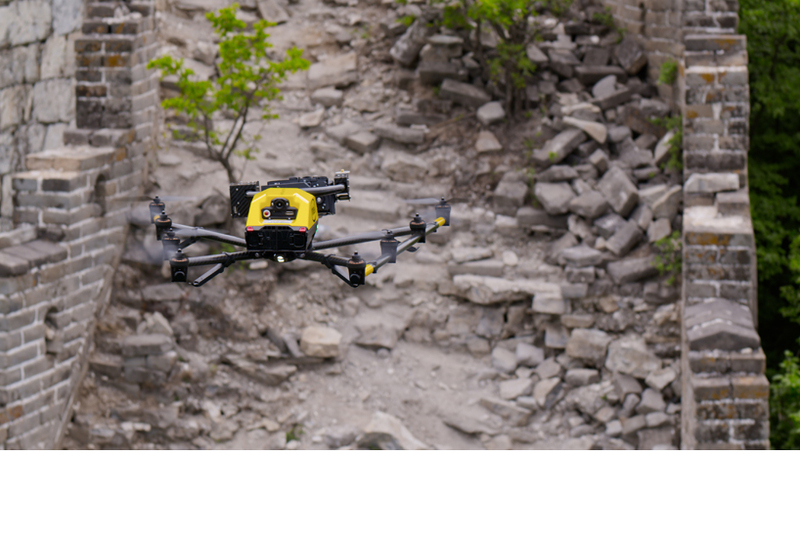 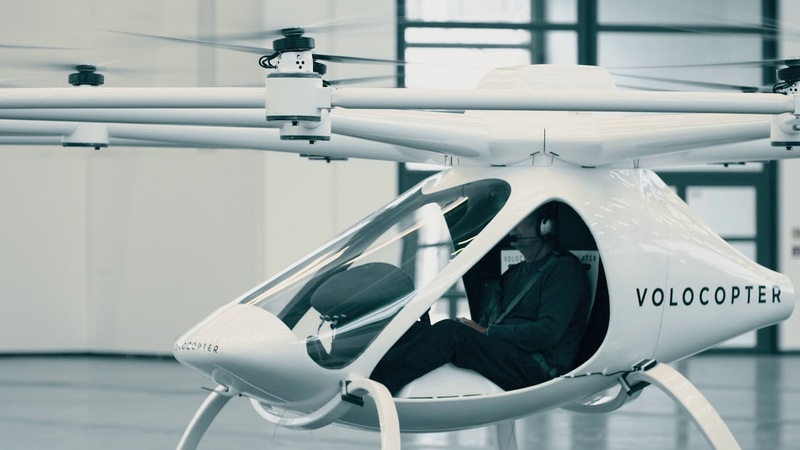 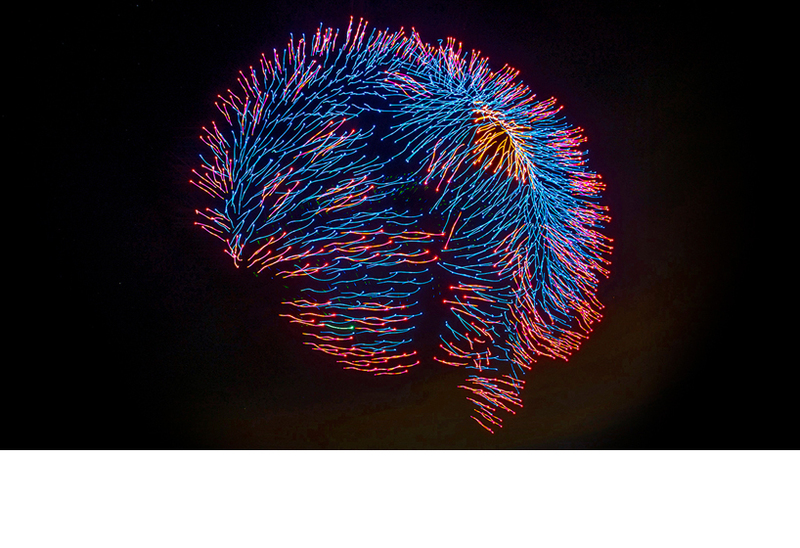 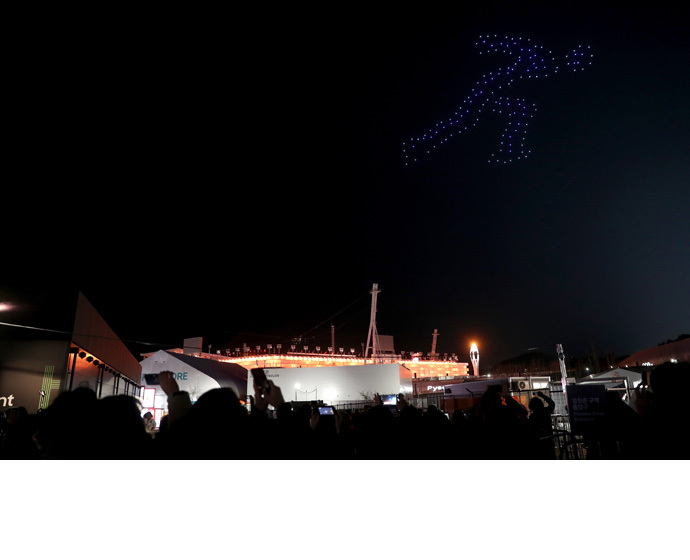 An important computing platform for the future, drones can help people work and they can delight in nighttime aerial spectacles. 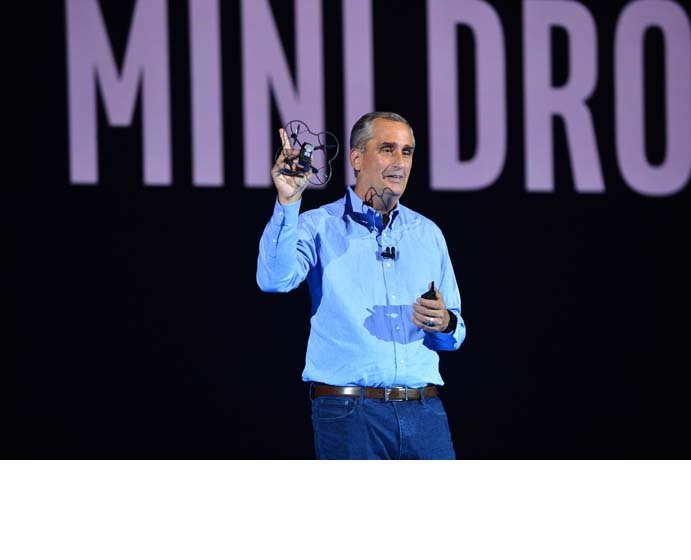 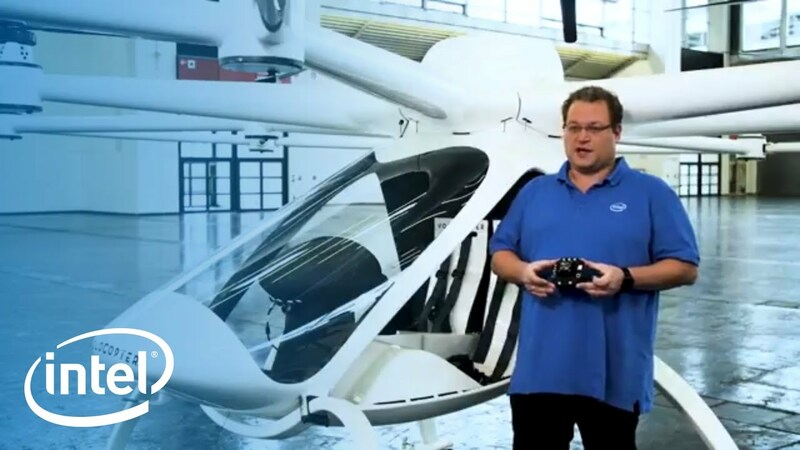 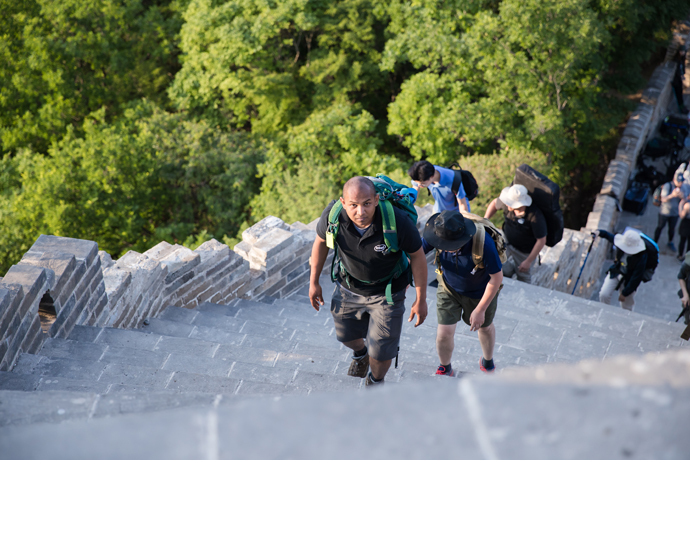 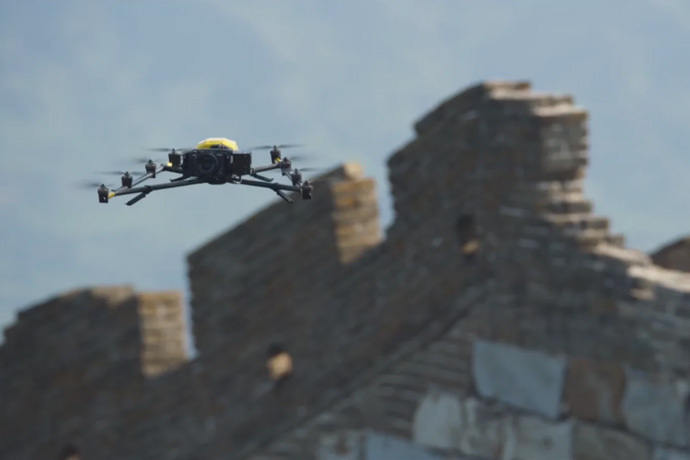 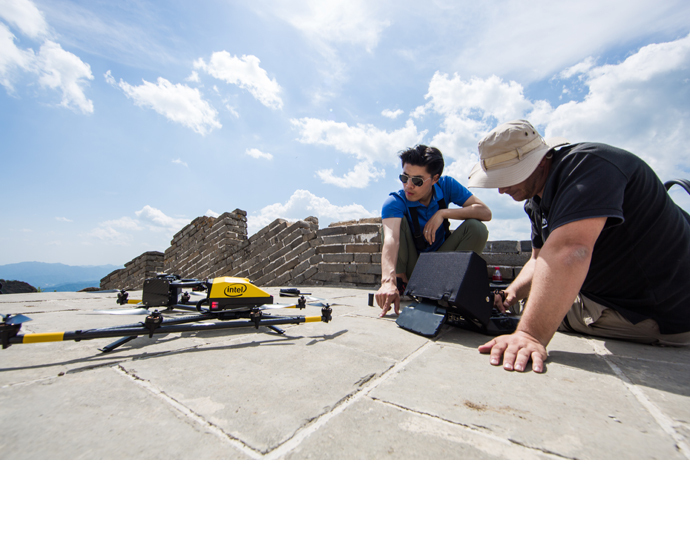 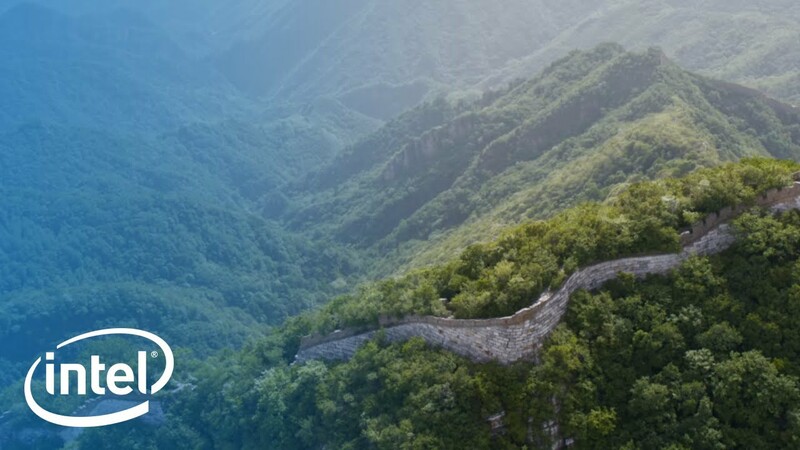 Intel’s leaders are positioning the company to provide the compute, sensor, communications and cloud integration for the growing drone ecosystem. 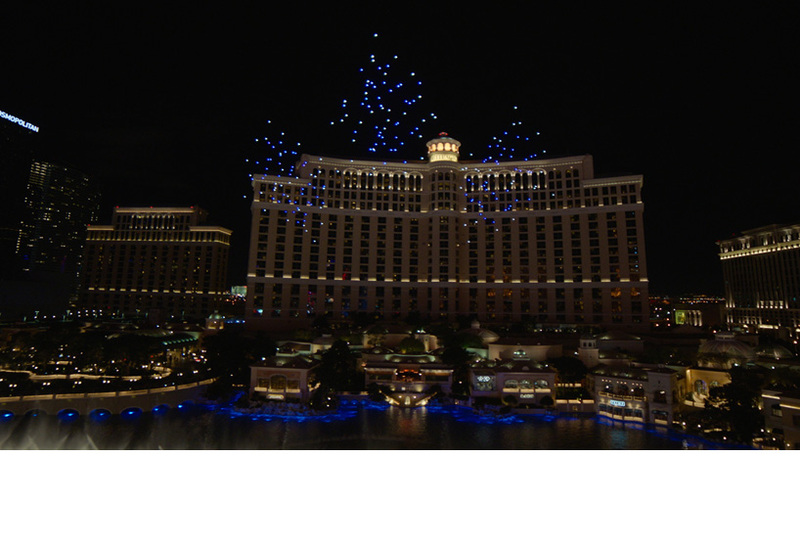 The Dark Arts at Hogwarts™ Castle is a dynamic, all-new light projection experience that takes place at Universal Studios Hollywood’s “The Wizarding World of Harry Potter™.” This nighttime spectacle of light and music features Intel® Shooting Star™ drones that create the Patronus as part of the Dark Arts at Hogwarts Castle experience. 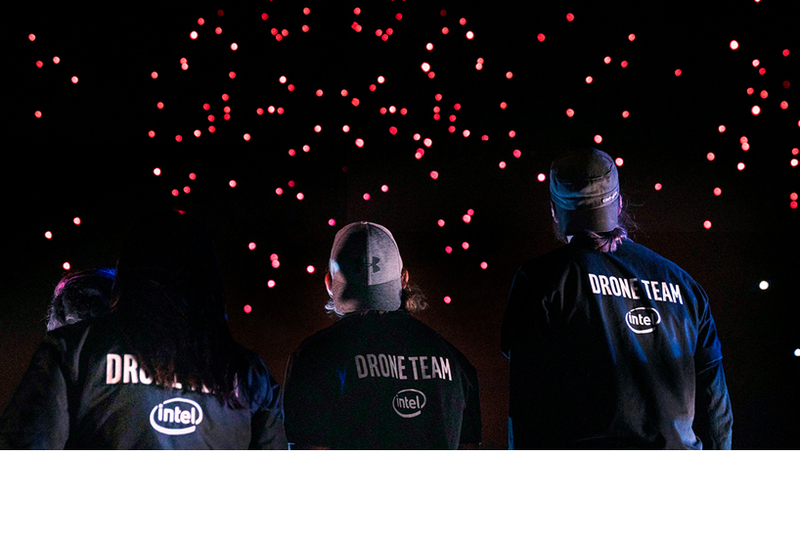 This is a first-time collaboration between Universal Studios Hollywood and Intel — two progressive, forward-thinking companies that succeed at bringing innovative, immersive and unique experiences to audiences, respectfully. 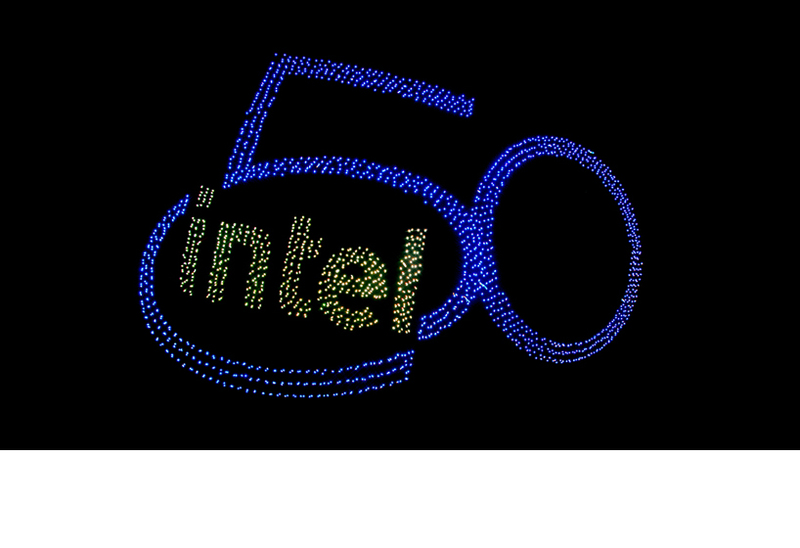 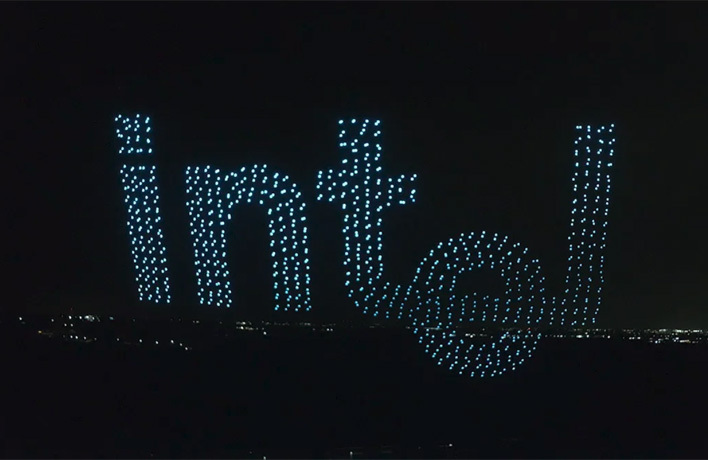 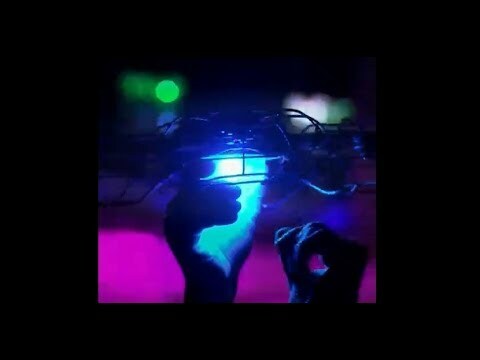 AT&T is kicking off Pride weekend in San Francisco on Friday, June 22, with Intel’s first public performance of an indoor drone light show since its debut at CES 2018 in January. 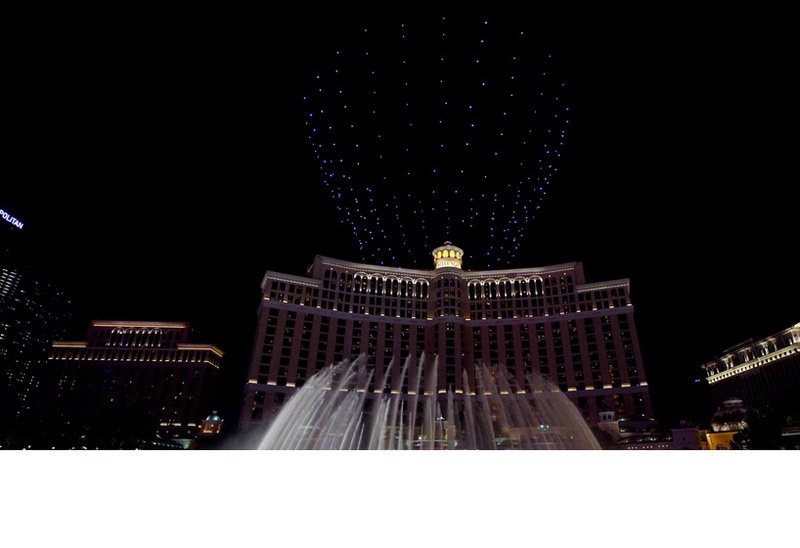 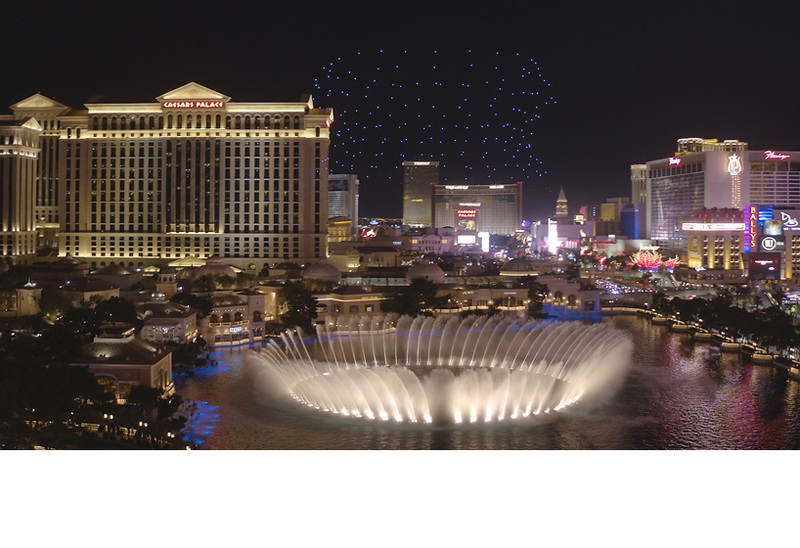 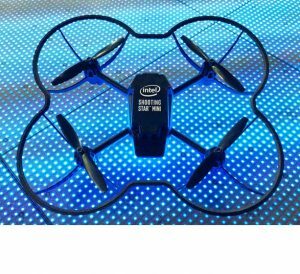 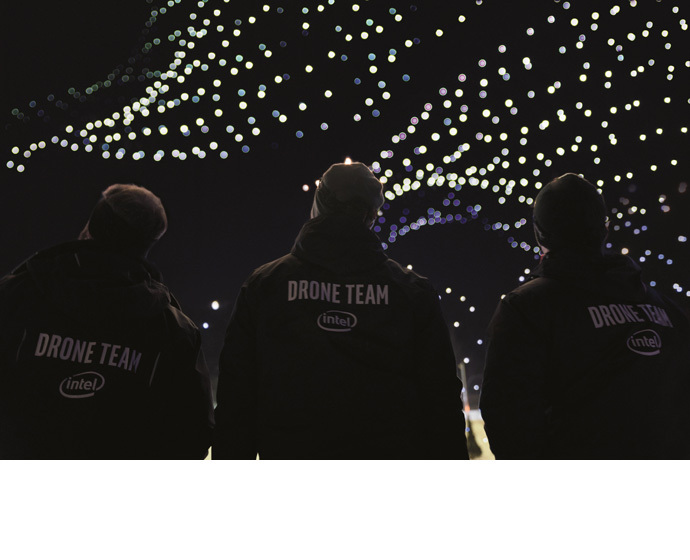 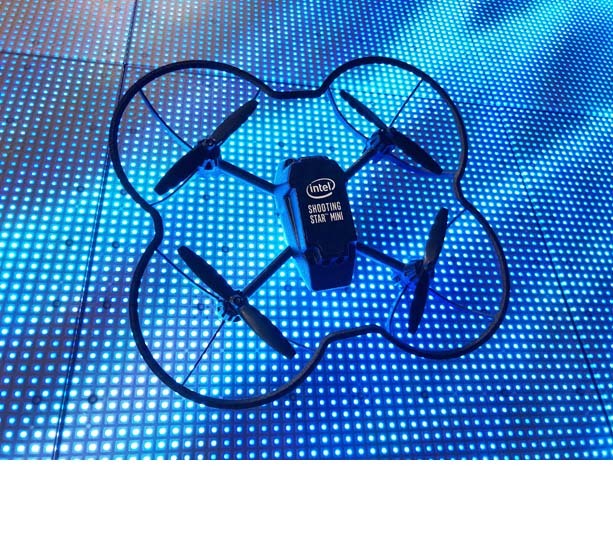 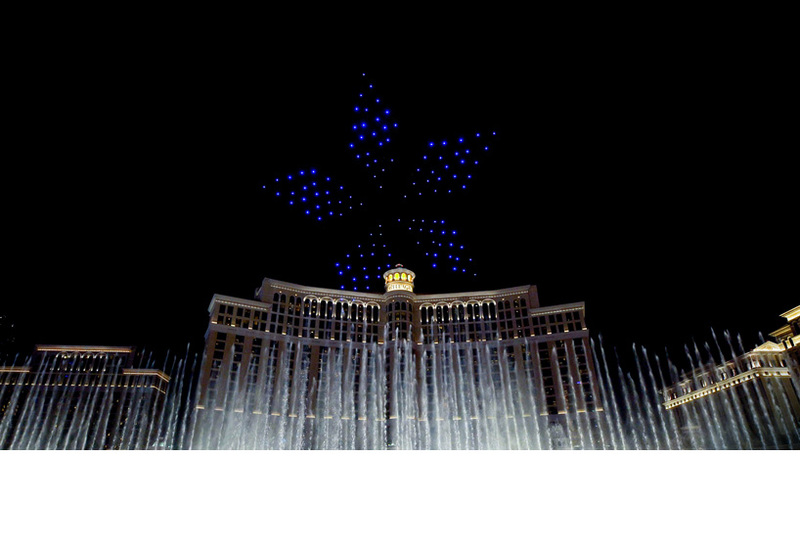 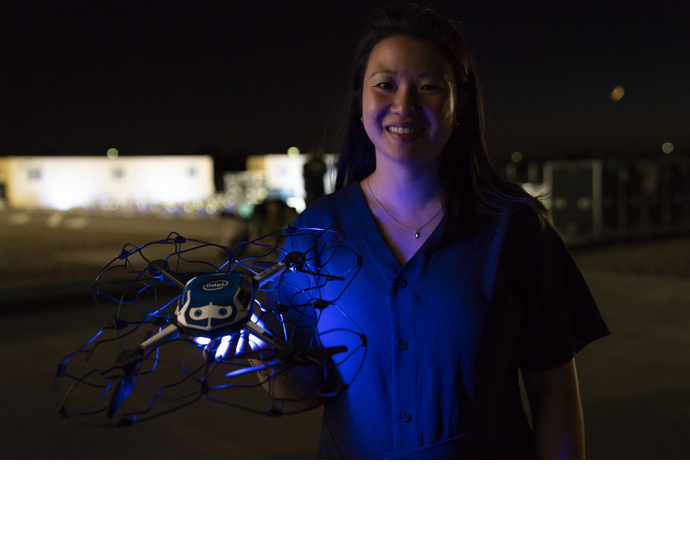 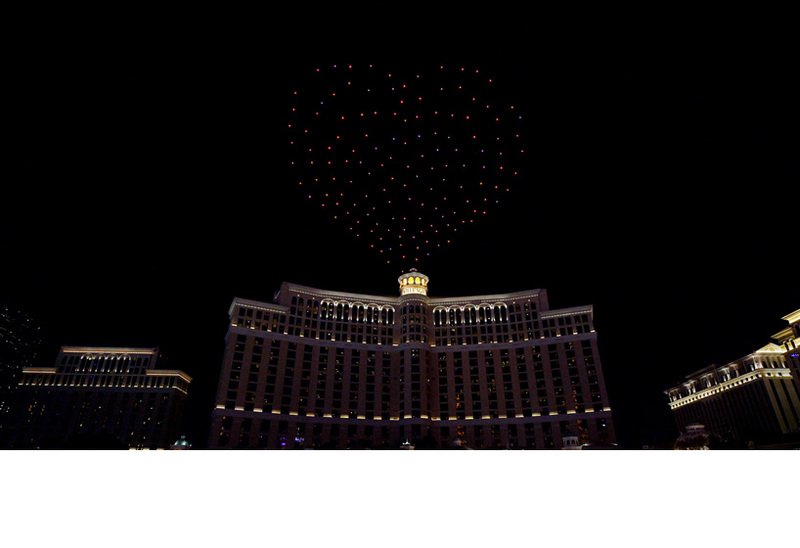 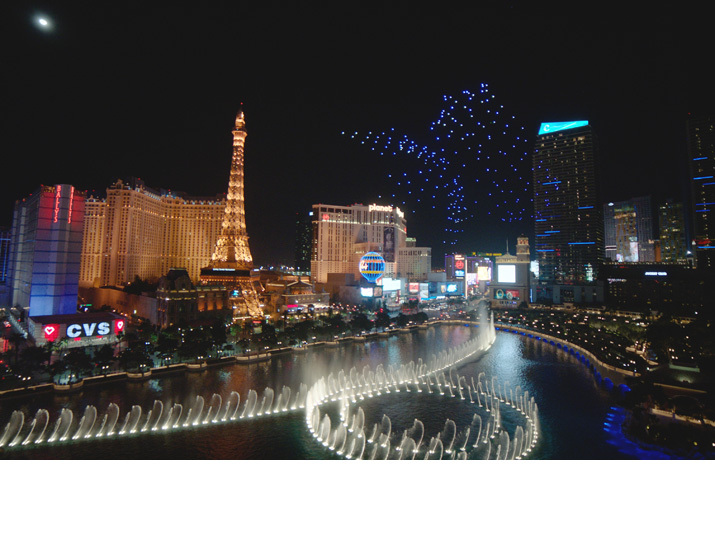 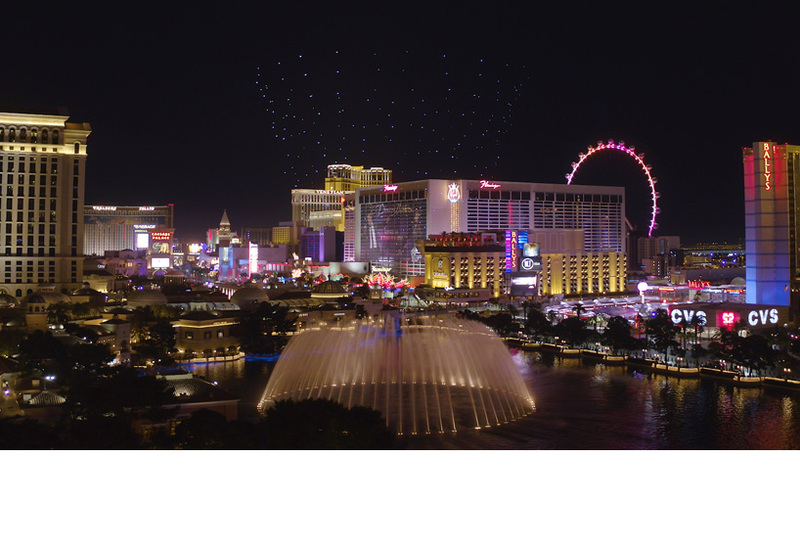 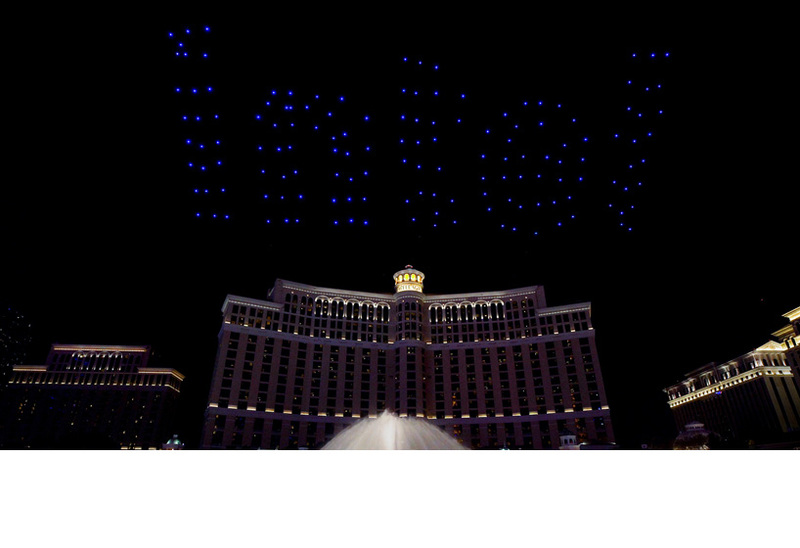 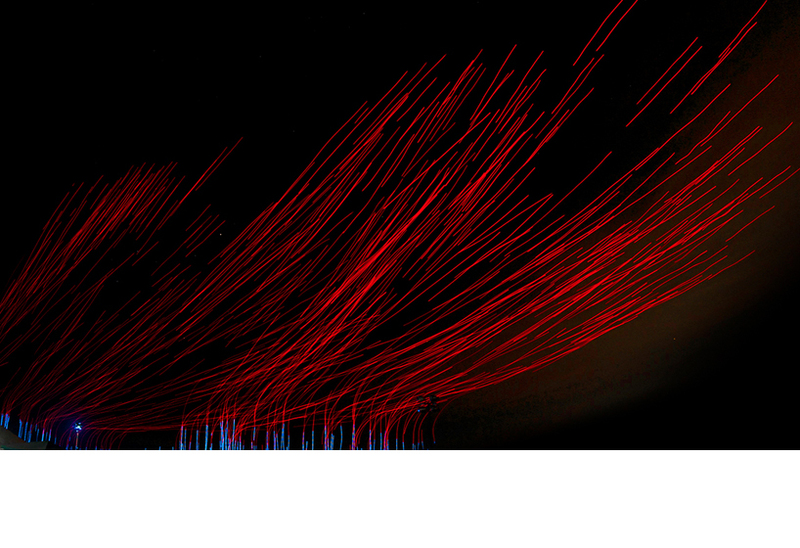 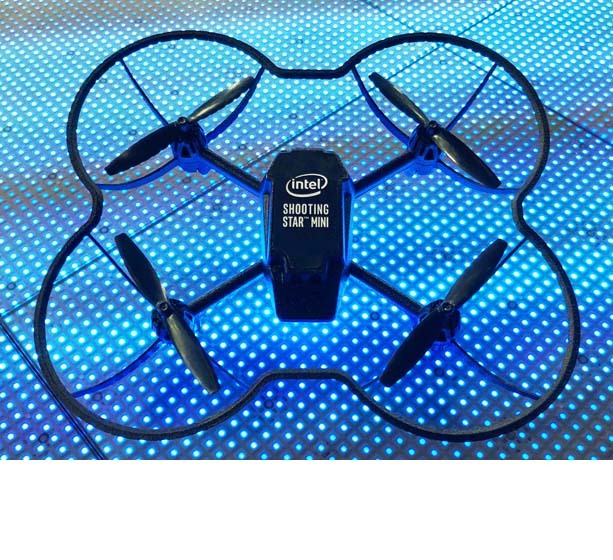 Audiences will see a fleet of 50 Intel® Shooting Star™ Mini drones light up 1 Powell Street at night. 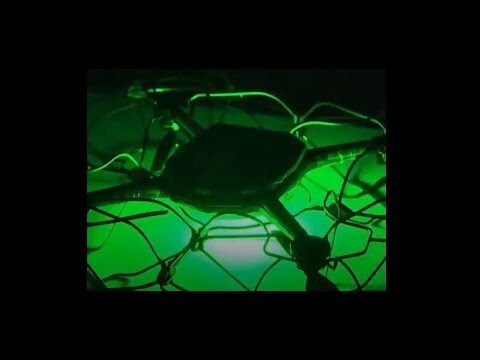 The drones will be accompanied by internationally acclaimed and Grammy-nominated acoustic/electric cellist Tina Guo, who will perform a live rendition of the song “Born this Way” by Lady Gaga. 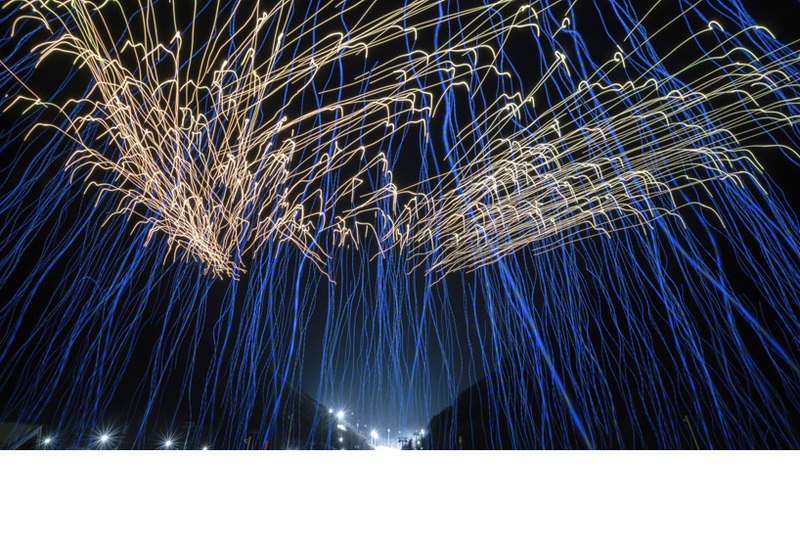 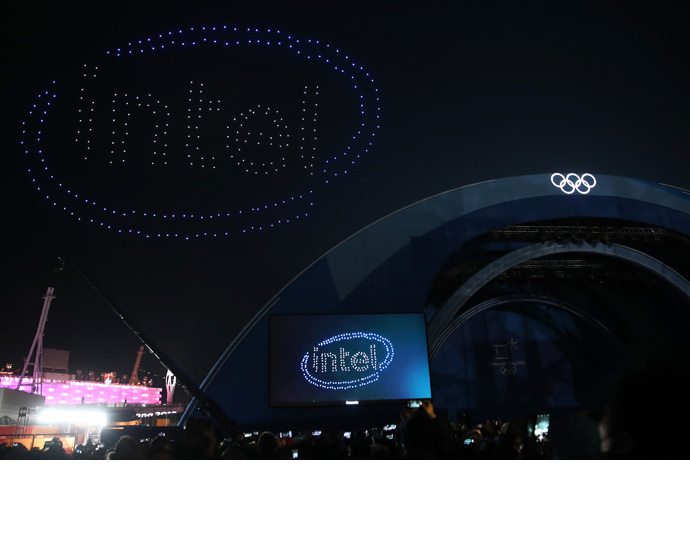 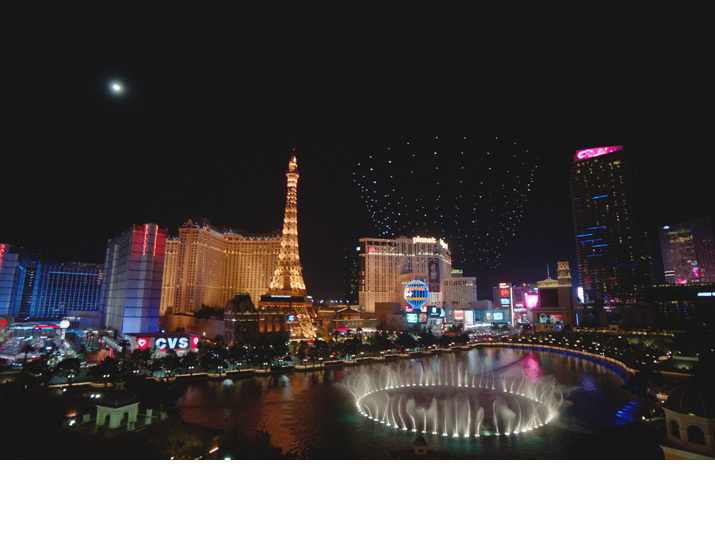 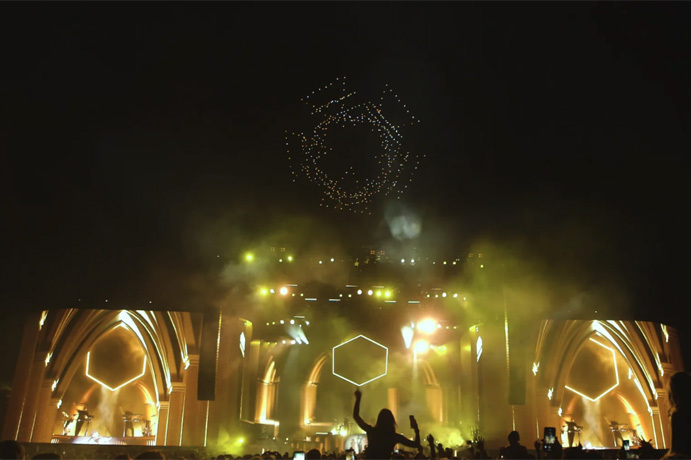 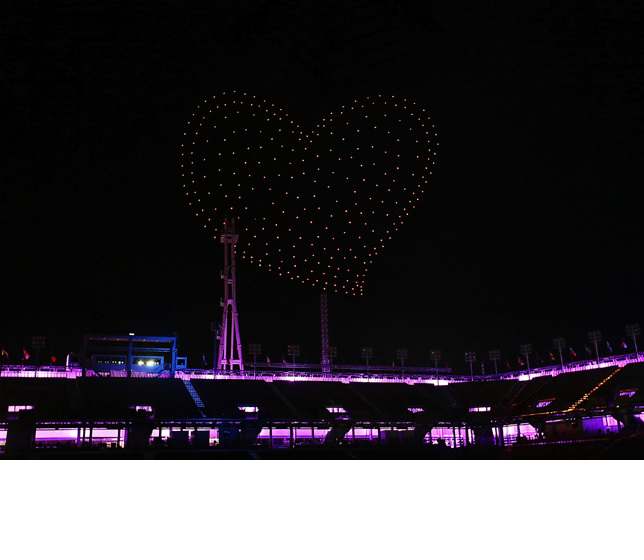 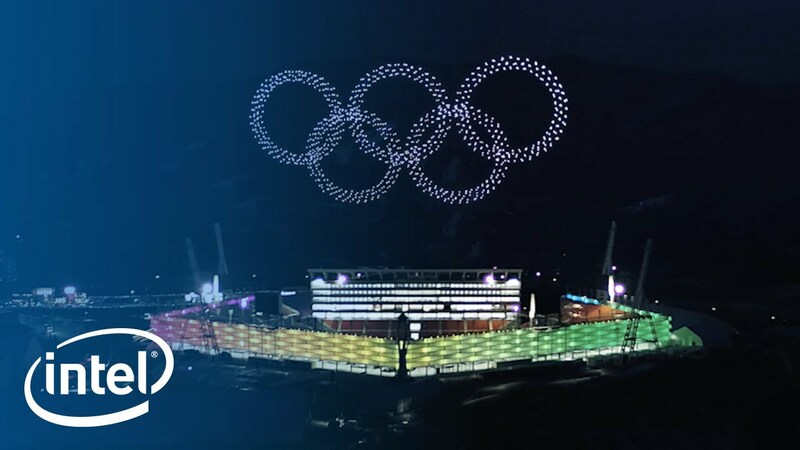 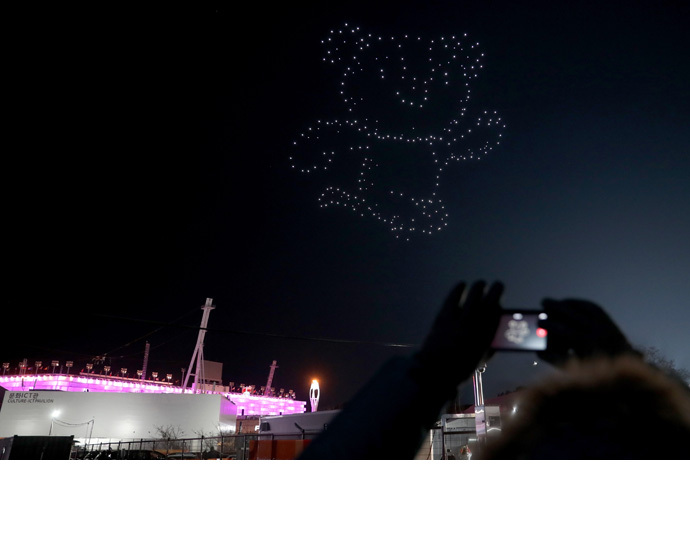 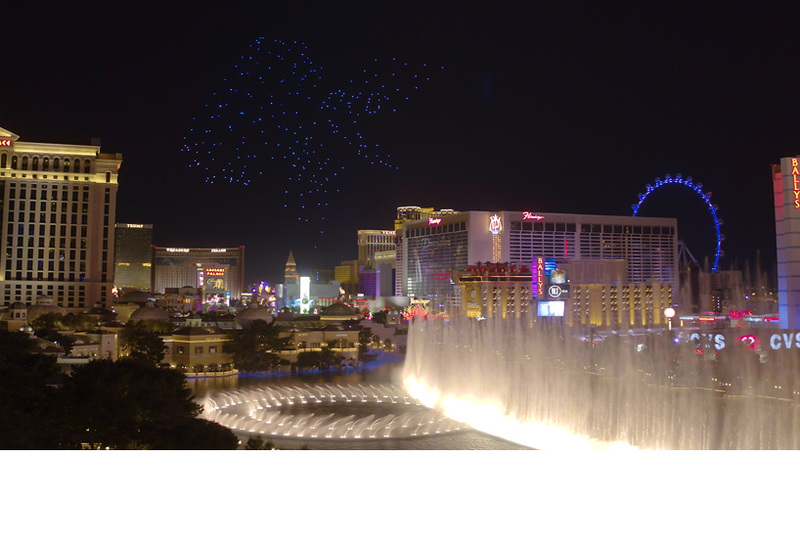 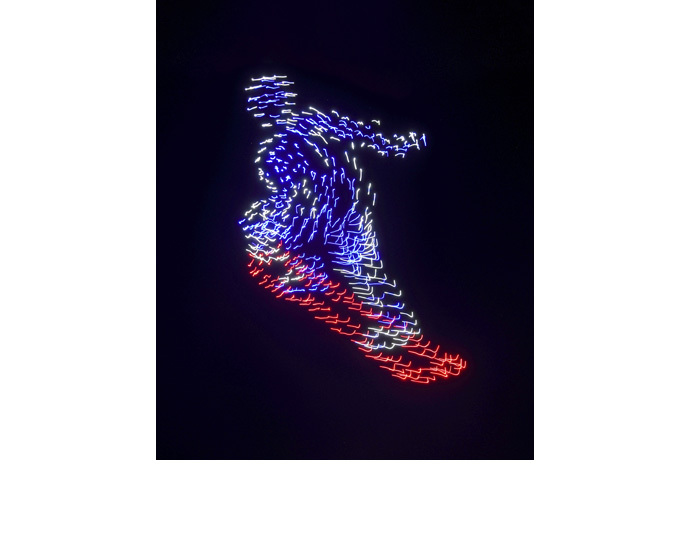 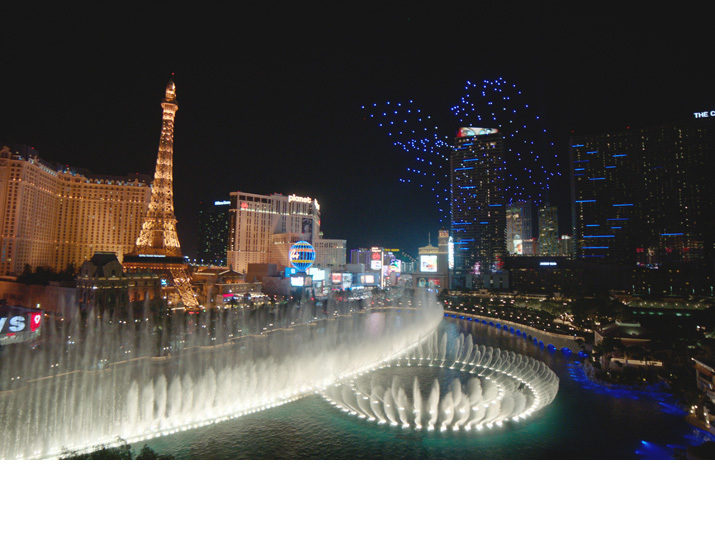 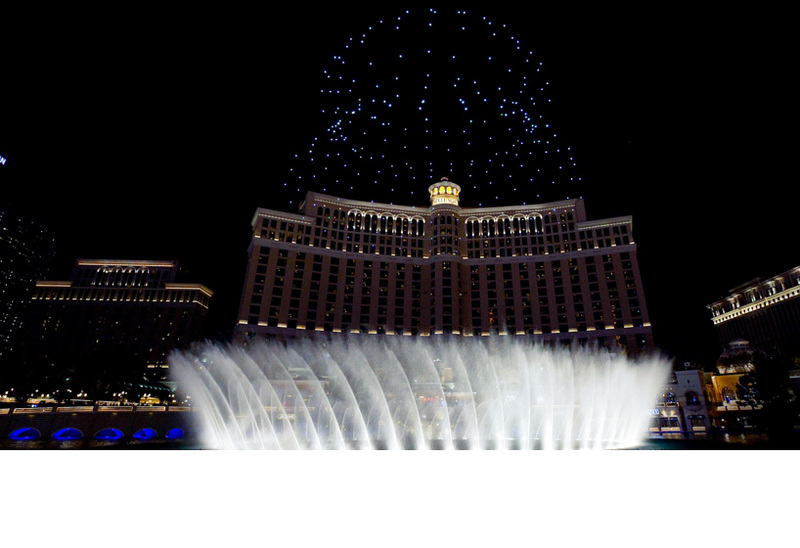 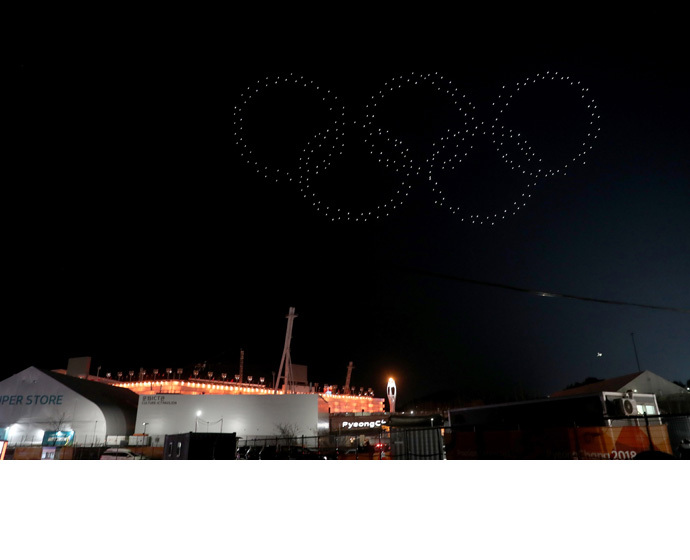 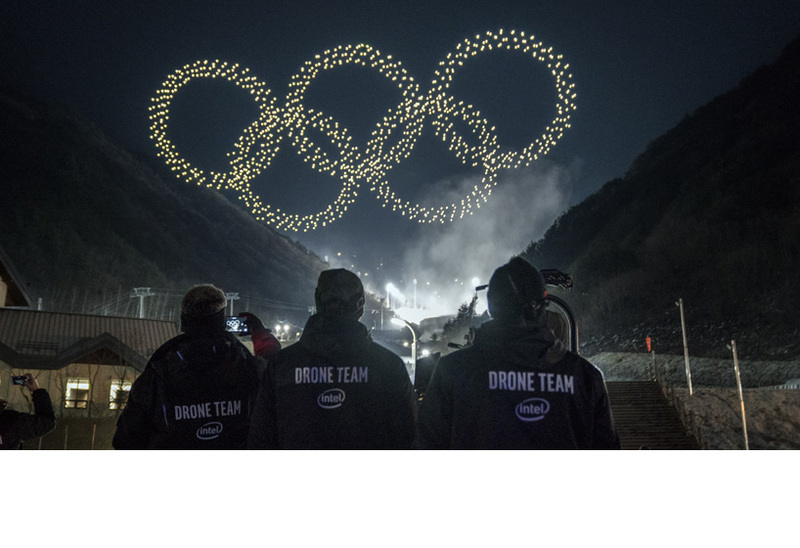 Intel has created an entirely new entertainment concept by producing drone-based light shows previously seen at the 2018 Winter Olympics, Super Bowl LI Halftime Show with Lady Gaga and at the Coachella Music Festival. 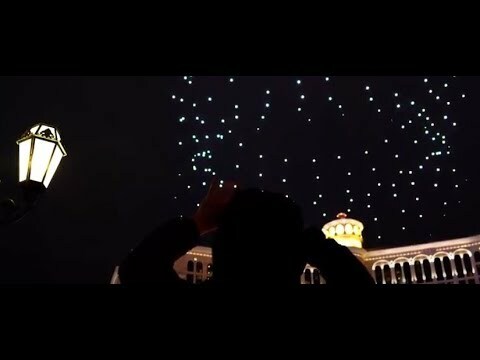 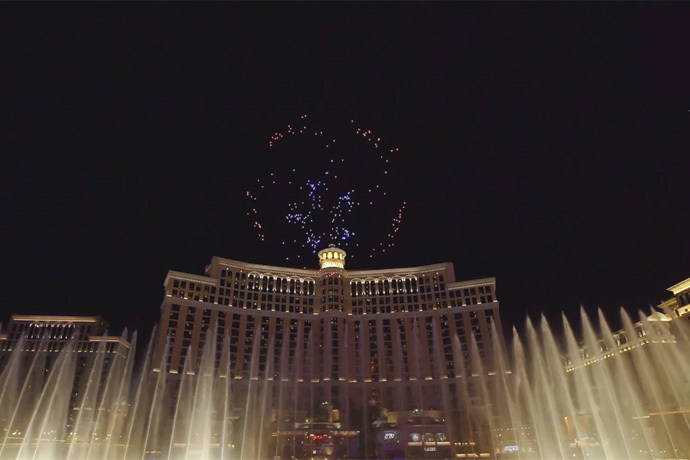 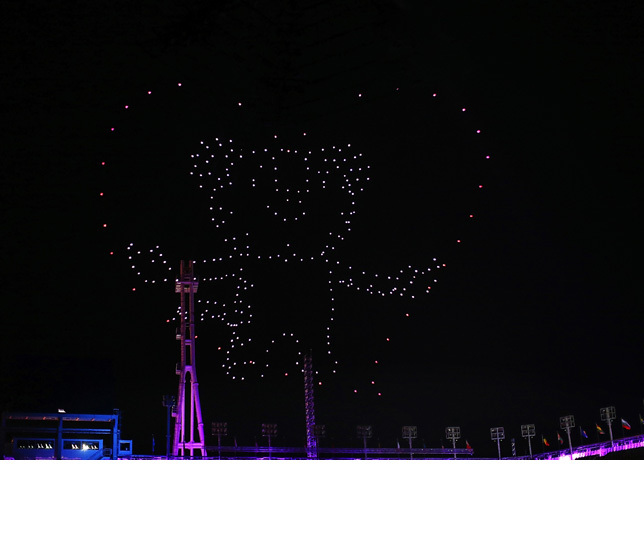 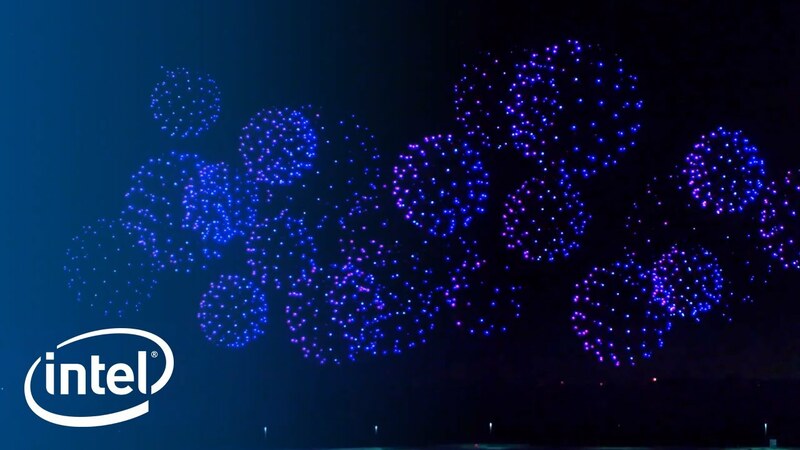 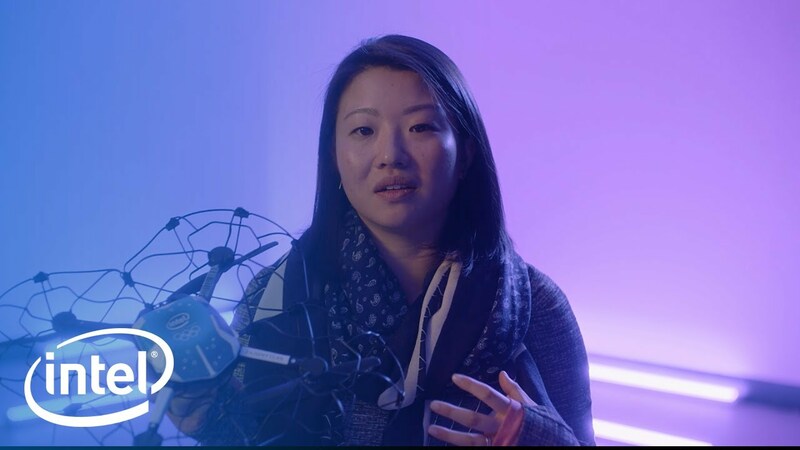 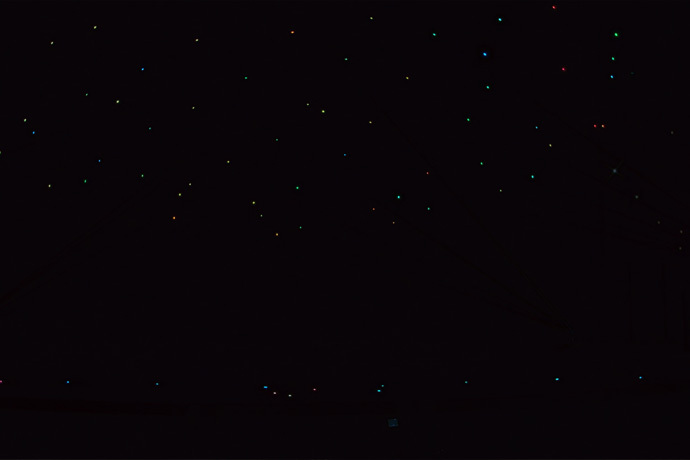 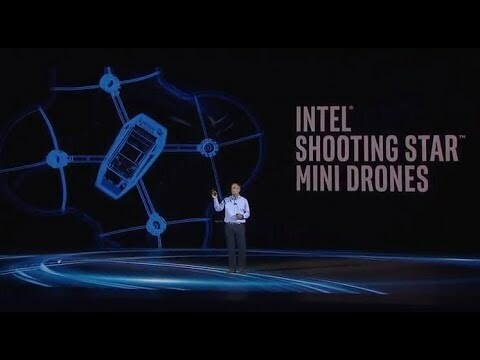 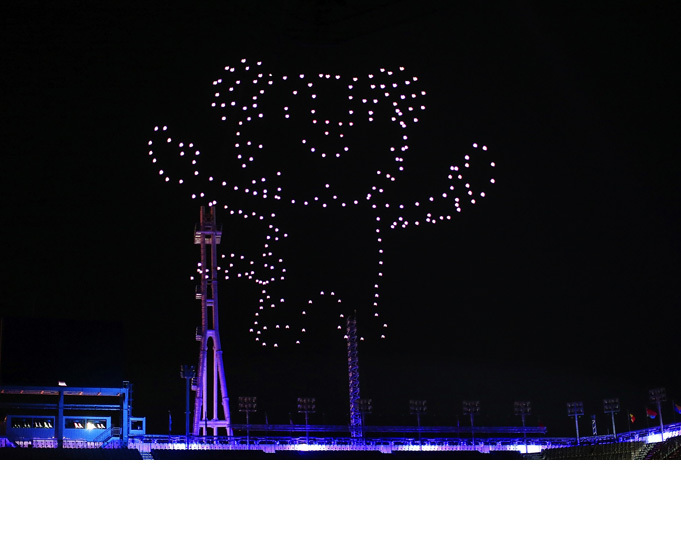 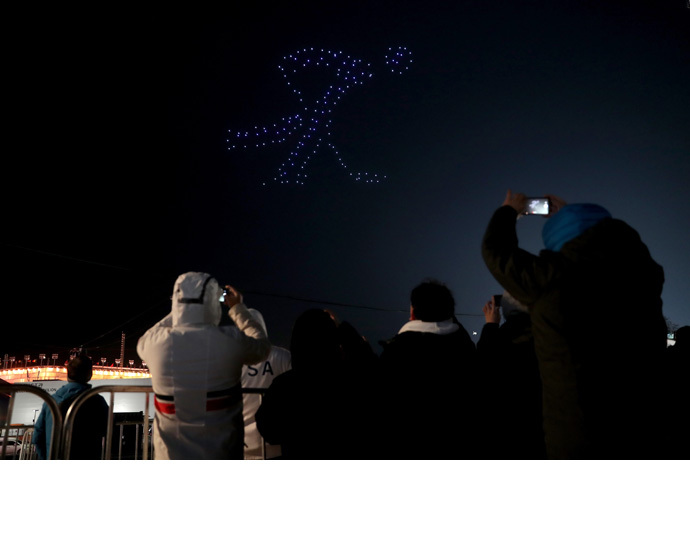 This is the first public performance using the new Intel Shooting Star Mini drones, which are designed for indoor and outdoor venues with a lightweight structure that can emit more than 4 billion color combinations.